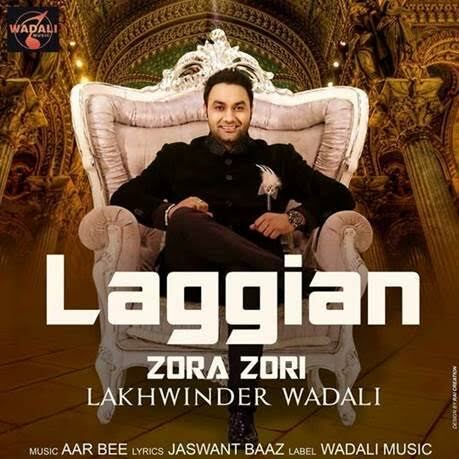 Laggian Zora Zori’ is the latest romantic song sung by Lakhwinder Wadali. Laggian Zora Zori is a pacy foot tapping number mixed with the traditional Punjabi lyrics on a fast beat. Music is produced by Aar Bee and lyrics written by Jaswant Baaz. After releasing 10 albums in 10 years Lakhwinder has marked many milestones of success in his music career, starting from album Bulla in 2005. He enthralled the world with soulful music and his international tours includes countries like Canada, Pakistan, Dubai and UK. He also featured on PTC Punjab Voice of Punjab in previous season and again he is geared up to be part of the Judgement panel along with Master Saleem and Sachin Ahuja. On the release of his latest single Laggian Zora Zori his father Ustad Puran Chand Wadali and Uncle Pyarelal Wadali expressed their wishes for his success. Here is a full video of Laggian Zora Zor.